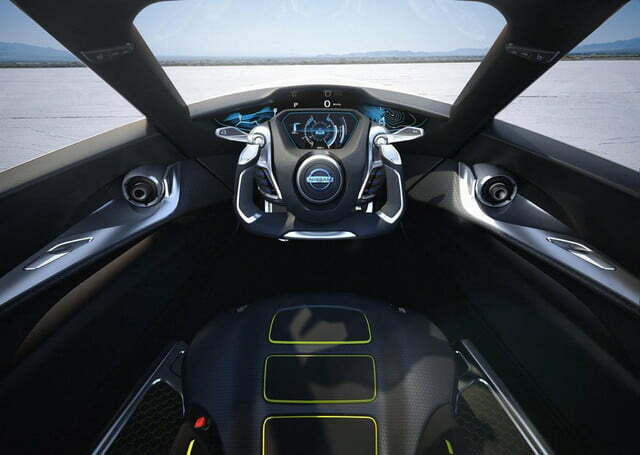 Forget driving, Nissan’s latest electric sports car concept is all about gliding. 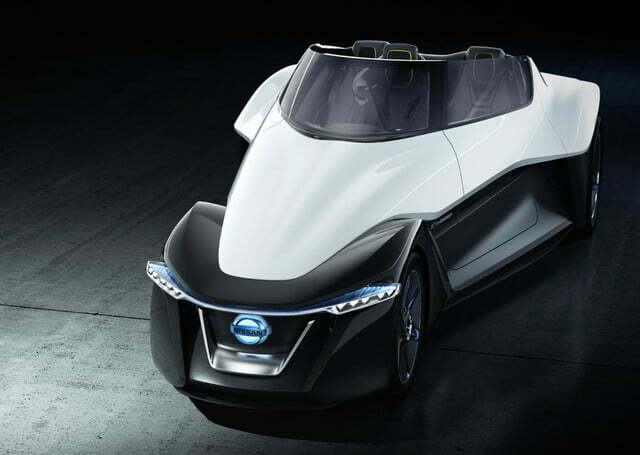 Nissan says the BladeGlider concept – set to unveiled at the 2013 Tokyo Motor Show later this month – was designed to give drivers “sustainable exhilaration”, an eco-friendly form of driving pleasure stemming from the car’s zero-emission powertrain. 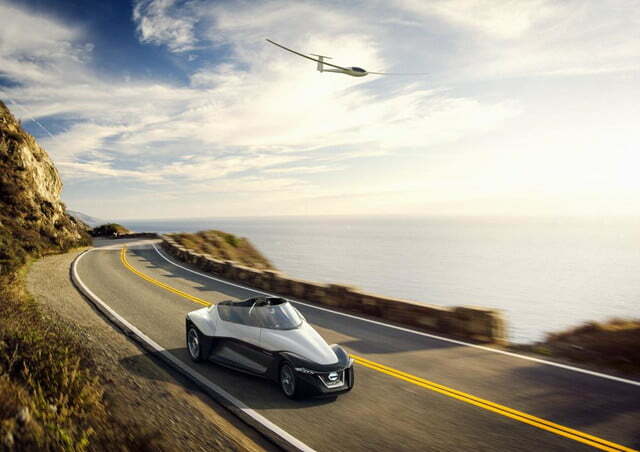 The BladeGlider certainly doesn’t look like most cars. It’s narrow front track and wide rear are shared with the DeltaWing and ZEOD RC racers, and help reduce drag while still creating downforce for better grip, Nissan says. Downforce pushes the car onto the road, allowing the tires to grip better. While downforce is great for traction, it’s bad for speed, as it causes drag. And drag is the enemy of performance engineers. 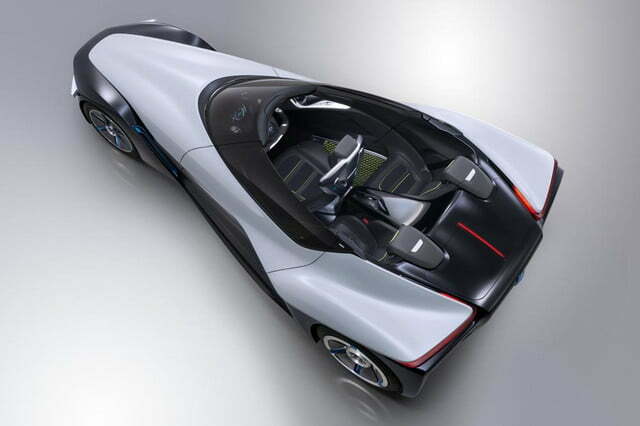 Normally the two go hand-in-hand, but according to Nissan, most of the BladeGlider’s downforce is generated by the underbody, allowing the topside to present a smooth, slippery shape to the wind. 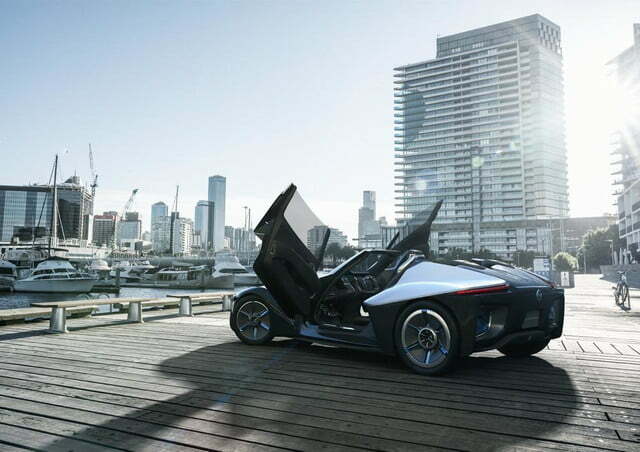 Like any high-tech sports car worth its salt, the BladeGlider has bodywork made from a lightweight material, in this case carbon fiber-reinforced plastic. 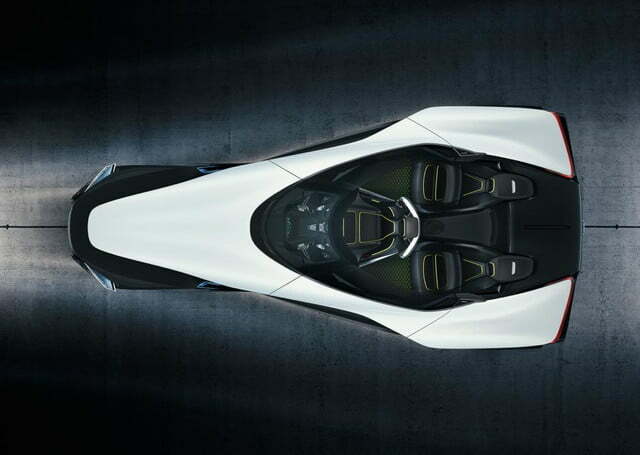 Underneath the radical skin is an equally radical powertrain. 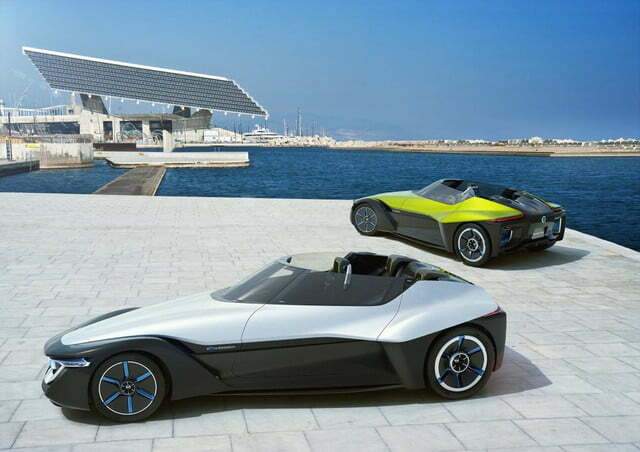 Electric sports cars are nothing new, but the BladeGlider uses in-wheel motors, a first for Nissan. 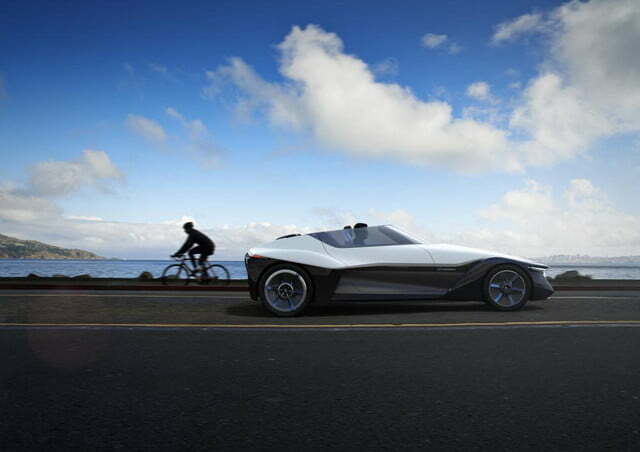 They’re fed by lithium-ion battery modules strategically located to lower the car’s center of gravity for better handling. 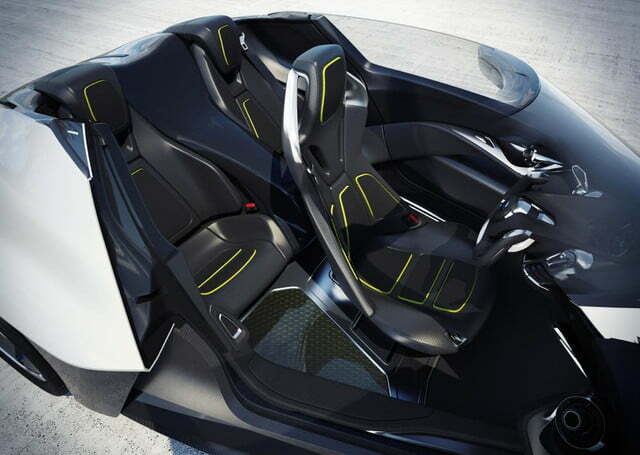 Things get weirder once you open the LaFerrari-like doors. The cockpit seats three in a triangular formation, with the driver seated in the middle. It’s just like a McLaren F1, or a spaceship. It might be a little too soon to put down a deposit, though. 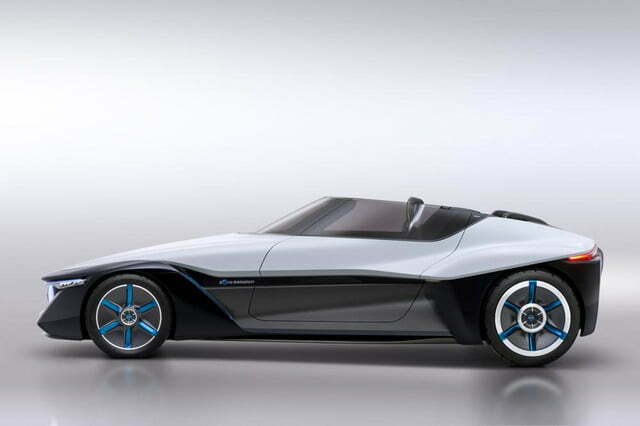 At the very least, Nissan probably wants to gauge the public’s reaction to the BladeGlider when it debuts at the Tokyo Motor Show, which opens November 20. What do you think of it? 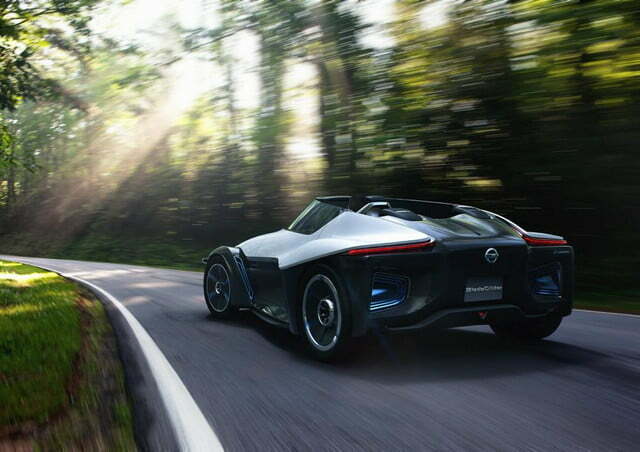 Would you buy an electric sports car like this? Tell us in the comments.